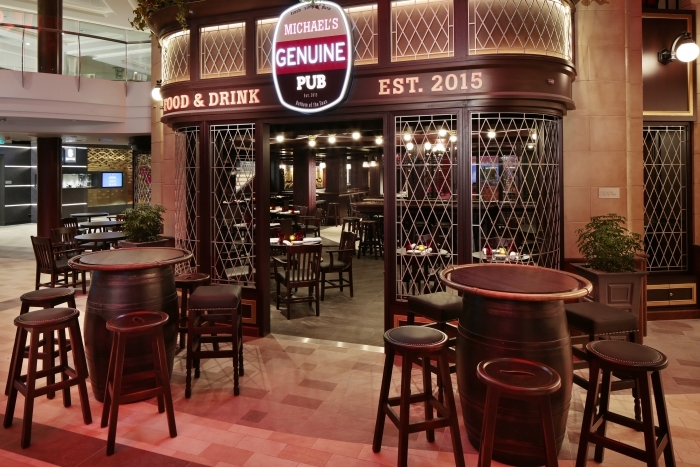 Royal Caribbean has announced effective February 28, Royal Caribbean will be removing Michael's Genuine Pub on its Quantum Class ships and replaced with a new concept. Royal Caribbean informed travel agents the cruise line is concluding its contract with Michael's Genuine Pub onboard Quantum of the Seas, Anthem of the Seas and Ovation of the Seas. According to Royal Caribbean, the new pub experience, "will offer a wide selection of beer and specialty cocktails, and will also feature a menu of bites."